I did it, I braved the shops! Making my list, checking it twice…. and still managed to come home without Christmas cards, doh! Although, I’m embarrassed to say I have actually set myself a reminder on my phone to buy them tomorrow! “Siri” really can be such a good friend sometimes….I live my week with him constantly beeping and nagging me with my to do lists. And I have to say, I’d be pretty lost without him. Bam Bam has his first ever Christmas play this week and I am already armed with a fully charged camera! He has been designated the part of a Shepherd. Too cute! When I am hosting parties, I am a huge fan of mingling amongst a buffet. 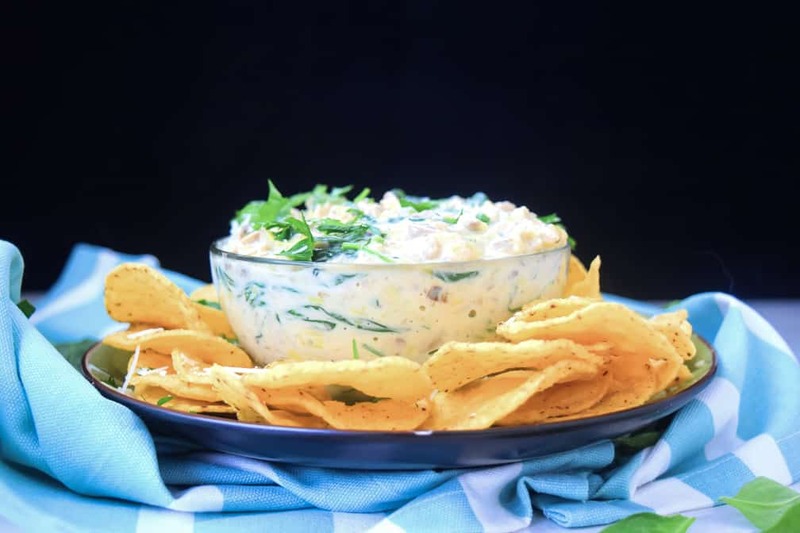 It’s the most sociable way to eat, in my opinion and gathered around a huge bowl of dip is a great place to hangout! No one likes to be stressed out in the kitchen during a party, faffing over courses of food. I feel like I never get to sit down and actually enjoy myself. You want easy food, that pleases people, that friends can share and enjoy together. It’s also a good idea to have options you can prepare in advance. 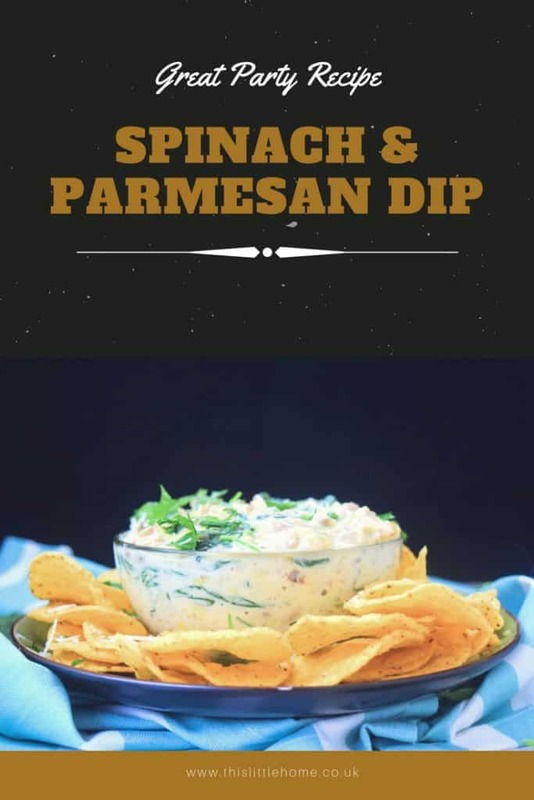 This dip is great for that. Serve it warm surrounded by nachos and it’ll be gone before it cools, trust me! 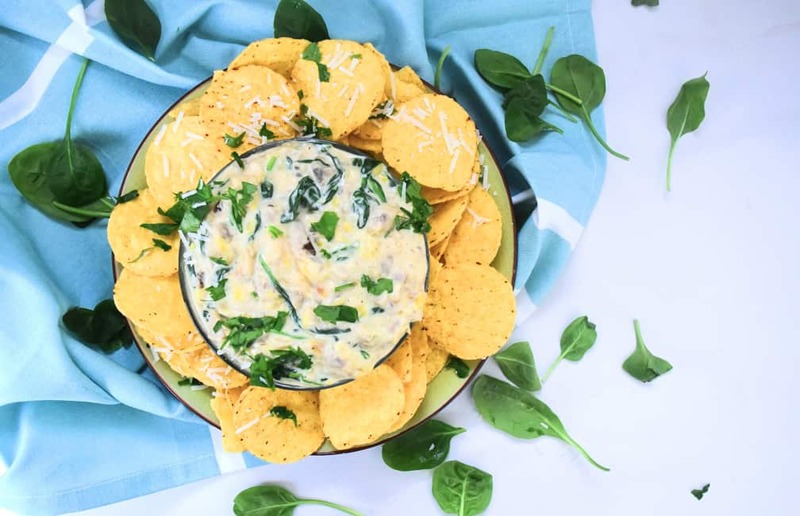 Your guests will be lucky to even get a taste if you’re anything like me who loves to secretly “sample” the party food before it leaves my kitchen. I have to make sure it tastes good of course, sampling the food is about as much time as I wish to spend in the kitchen when there is a party happening! 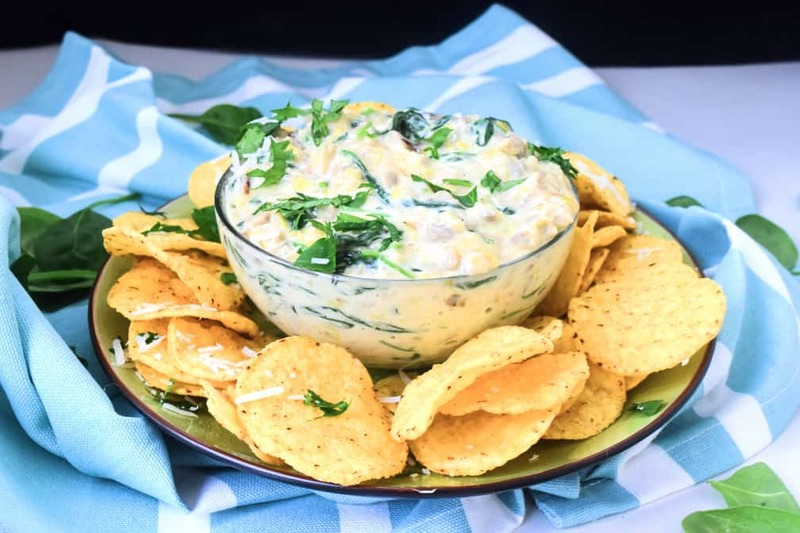 But hey, don’t feel you need to be throwing a big party in order to make this dip, it tastes just as good on a quiet night, in front of the TV when you want something comforting to eat. Slice the Mushrooms, Leek and Onion and crush the garlic, add them to the pan and cook until soft. Remove from the heat and put it all in a blender, blend until chopped but still chunky. Place back in the pan and add the cream, heat through and then add the spinach. Once the spinach is mixed through and wilted, add the cheese, mix through and heat gently until melted. Season with salt and pepper. Transfer to a bowl and serve warm.